The Dover Quartet’s Kennedy Center debut shows why they should be on must-hear list… a triumph. The Dover Quartet catapulted to international stardom following a stunning sweep of the 2013 Banff Competition. Recently named the Cleveland Quartet Award winner, and awarded the coveted Avery Fisher Career Grant, the Dover has become one of the most in-demand ensembles in the world. 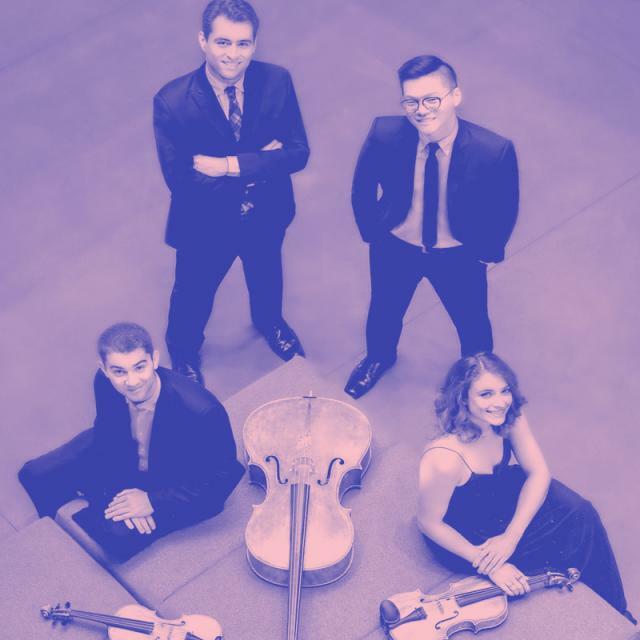 The Quartet serves as the quartet-in-residence for the Bienen School of Music at Northwestern University, Illinois. The Dover Quartet is dedicated to sharing its music with under-served communities and is actively involved with Music for Food, an initiative enabling musicians to raise resources and awareness in the fight against hunger. Tchaikovsky is known for his symphonies, ballets and operas, but his three string quartets are each superbly crafted works and an important contribution to the Romantic chamber music tradition. Bartók’s third quartet, his furthest adventure into modernity, unfolds in one concentrated movement, incorporating motifs derived from Hungarian folk music worked through with Bach’s contrapuntal style. Dvorák’s final string quartet and his last composition of ‘pure’ (non-programmatic) music, is infused with the folk music of Bohemia and the composer’s own joy upon returning home after a long sojourn in the United States.